The National Press Club celebrates Women’s History Month to honor the worldwide accomplishments of women in all fields of endeavor. This portrait exhibit presents just a sampling of the eminent women who have graced the Club’s podiums. Today, women members and guests at the Club enjoy the same status as men, but this has not always been the case. Prior to 1971, when gender barriers came down, women reporters covering speaking events in the ballroom were confined to the balcony. But change overcame tradition in the 1970s, and in 1982, Vivian Vahlberg was elected the Club’s first female president. 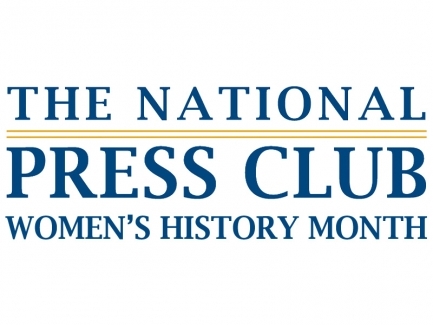 As the World’s Leading Professional Organization for Journalists, the National Press Club continues its commitment to diversity through the recognition of the achievements of all women. 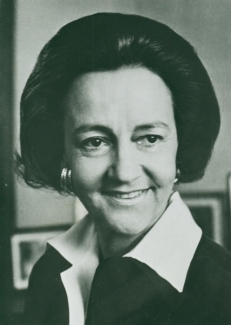 Katharine Graham, publisher of The Washington Post (1963-1979). Speaker at the Drew Pearson Prize luncheon, Dec. 13, 1974. 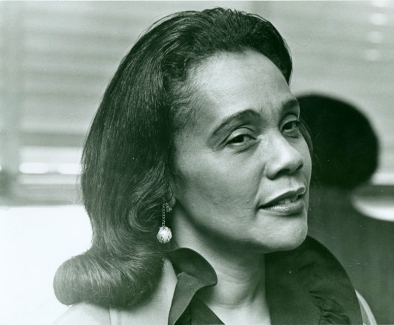 Coretta Scott King, civil rights leader and widow of MLK, Jr., c. 1970. Sarah McClendon, White House correspondent and founder of the McClendon News Service. Oct. 22, 1985. 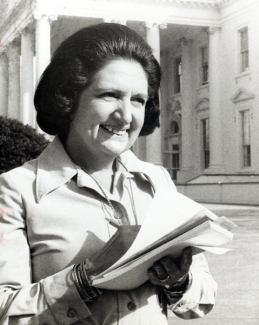 Helen Thomas, White House correspondent and bureau chief for UPI, columnist for Hearst Newspapers. 1984 Fourth Estate Award Winner at the NPC. C. 1975. 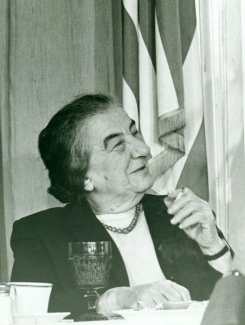 Golda Meir, Prime Minister of the State of Israel (1969-1974). Luncheon speaker, Sept. 26, 1969 and March 1, 1973. 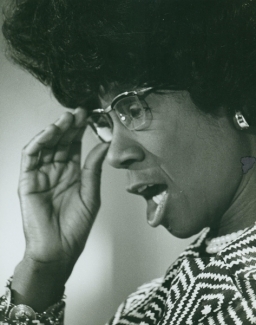 Shirley Chisholm, U.S. Congresswoman (D-N.Y., 1969-1983) and the first major-party African American candidate for President of the United States (1972). April 27, 1972. 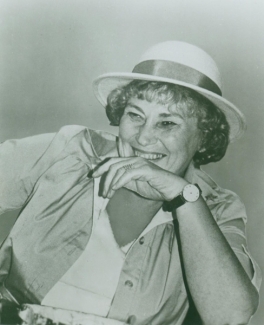 Bella Abzug, U.S. Congresswoman (D-N.Y., 1973-1977), social activist and leader of the Women’s Movement. March 22, 1984. 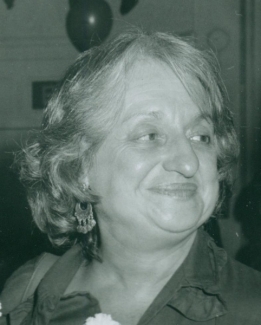 Betty Friedan, social activist and leader of the Women’s Movement. Author of The Feminine Mystique (1963). Founder and first president of the National Organization for Women. Nov. 24, 1977. 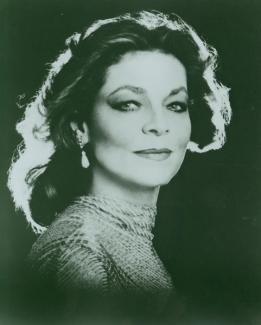 Lauren Bacall, film and stage actress, c. 1983. 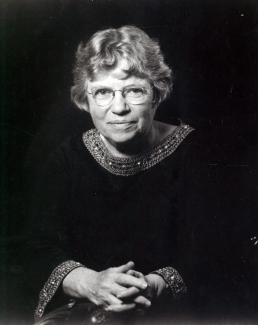 Margaret Mead, cultural anthropologist. Luncheon speaker, Oct. 9, 1973. 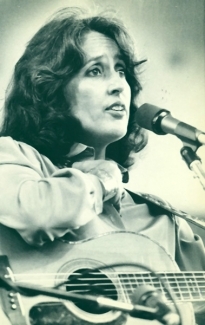 Joan Baez, folk singer, social and political activist. July 6, 1979. 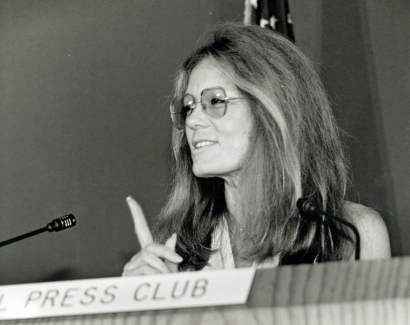 Gloria Steinem, leader of the Women’s Movement, social and political activist, journalist. Co-founder of Ms. magazine (1972). Luncheon speaker, June 20, 1984. 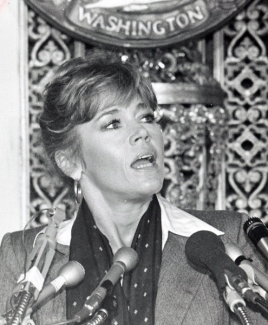 Jane Fonda, film actress and political activist. Luncheon speaker, Oct. 4, 1979. 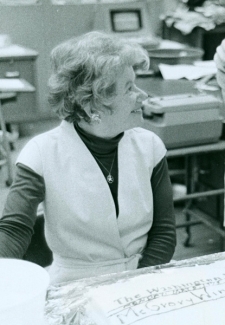 Mary McGrory, journalist, columnist for The Washington Star and The Washington Post. Pulitzer Prize for Commentary (1975). 1998 Fourth Estate Award Winner at the NPC. May 1975. 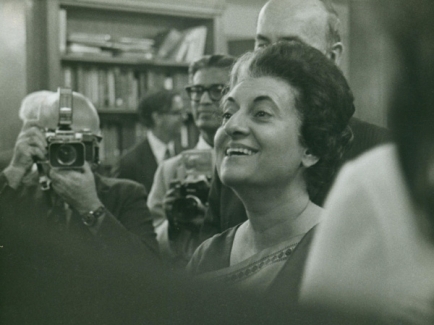 Indira Gandhi, Prime Minister of the Republic of India (1966-1977, 1980-1984). Luncheon speaker, Nov. 5, 1971 and July 30, 1982. 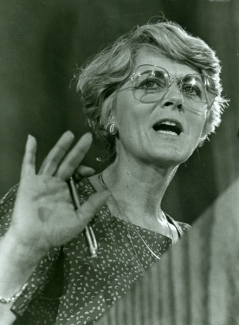 Geraldine Ferraro, U.S. Congresswoman (D-N.Y., 1979-1985) and the first major-party female vice-presidential candidate (1984). July 12, 1984. 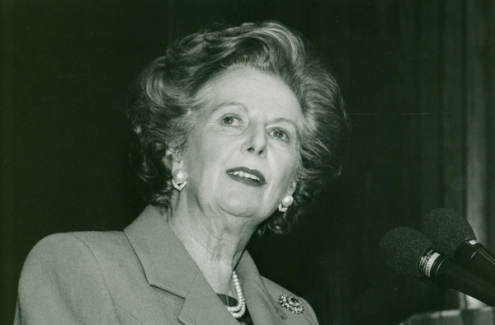 Margaret Thatcher, Prime Minister of the United Kingdom (1979-1990). Luncheon speaker, Nov. 5, 1993. 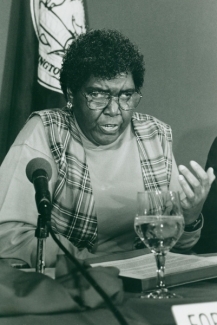 Barbara Jordan, U.S. Congresswoman (D-Texas, 1973-1979) and civil rights activist. Luncheon speaker, Sept. 30, 1994. 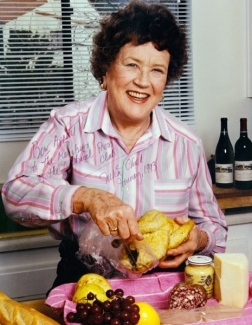 Julia Child, chef, author and television personality. C. 1990. 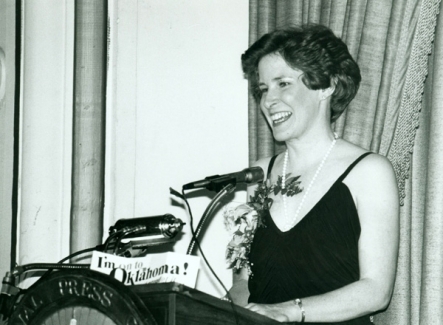 Luncheon speaker, Jan. 27, 1993. 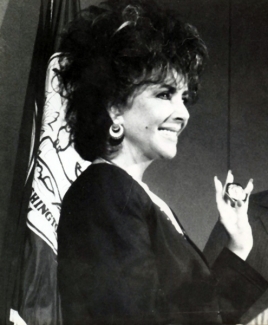 Elizabeth Taylor, film actress and Hollywood celebrity. Luncheon speaker, June 3, 1987. 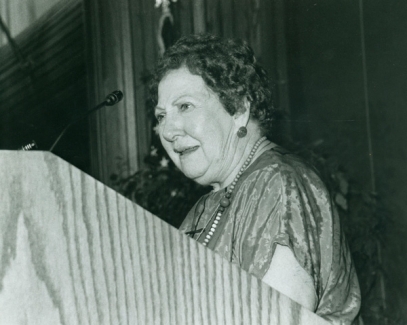 Vivian Vahlberg, first woman president of the National Press Club (1982). 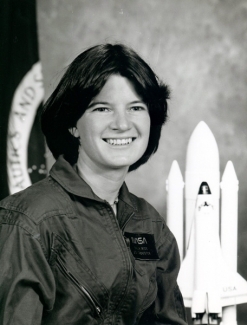 Sally Ride, physicist and first American woman astronaut (Space Shuttle Challenger, June 18-24, 1983). 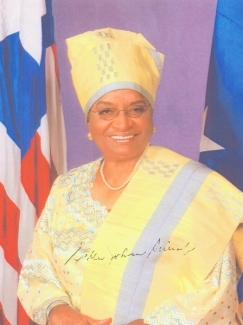 Ellen Johnson Sirleaf, President of Liberia (2006-present) and first elected woman head of state in Africa. Luncheon speaker, Feb. 16, 2007. 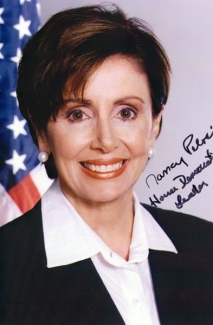 Nancy Pelosi, U.S. Congresswoman (D-Calif., 1987-present) and first woman Speaker of the U.S. House of Representatives (2007-2011). Luncheon speaker, April 19, 1994, Jan. 27, 2003 and Jan. 26, 2006. 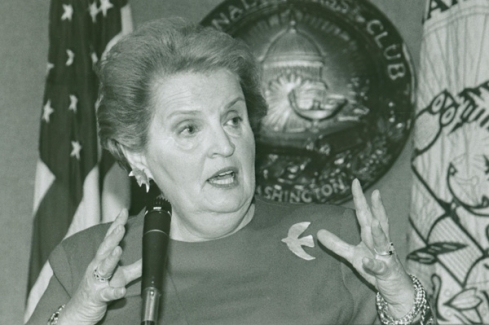 Madeleine Albright, U.S. Ambassador to the United Nations (1993-1997) and first woman U.S. Secretary of State (1997-2001). Press briefing, May 12, 1998. 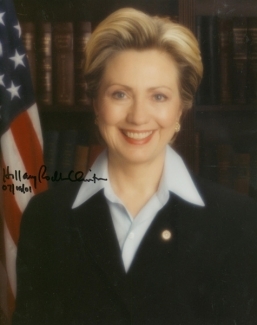 Hillary Rodham Clinton, First Lady of Arkansas (1979-1981, 1983-1992), First Lady of the United States (1993-2001), U.S. Senator (D-N.Y., 2001-2009), U.S. Secretary of State (2009-present). Luncheon speaker, July 19, 2001. Michelle Rhee, education reform advocate and chancellor of the District of Columbia Public Schools system (2007-2010). Luncheon speaker, Sept. 29, 2008. 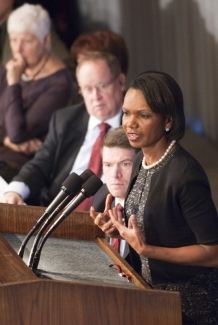 Dr. Condoleezza Rice, National Security Advisor (2001-2005), U.S. Secretary of State (2005-2009). Luncheon speaker, May 31, 2001 and Oct. 15, 2010. 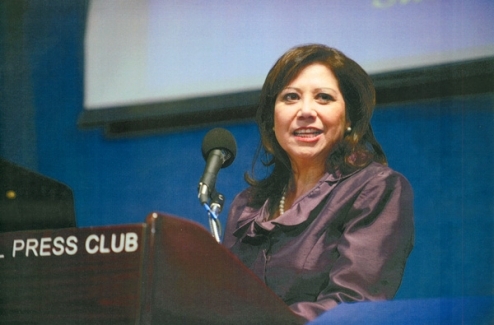 Hilda Solis, U.S. Congresswoman (D-Calif., 2003-2009) and U.S. Secretary of Labor (2009-present). Administered oath of office to NPC President Mark Hamrick at inauguration ceremony, Jan. 29, 2011.